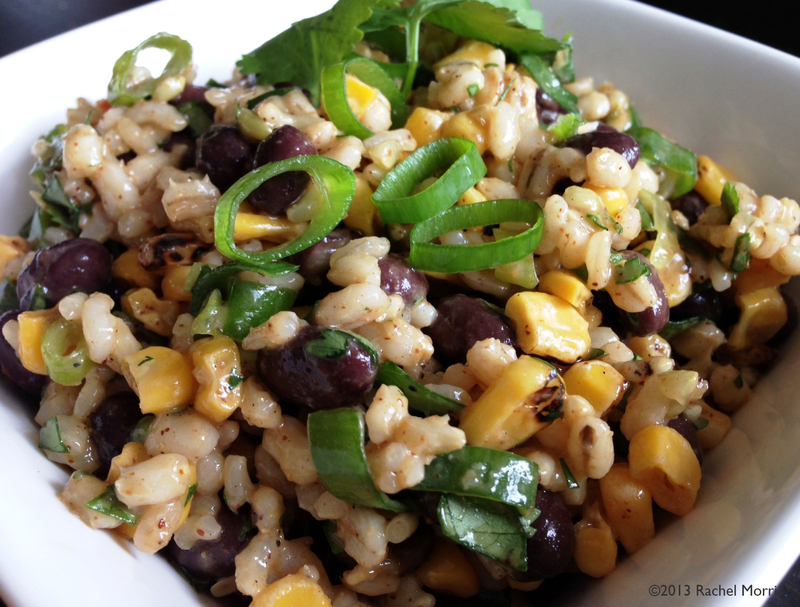 So many great things about this dish – it’s an easy mix some stuff together kind of recipe, it’s vegan and healthy, it’s delicious, and it doesn’t really require cooking if you get the kind of rice you can just microwave. Oh and it’s versatile too. 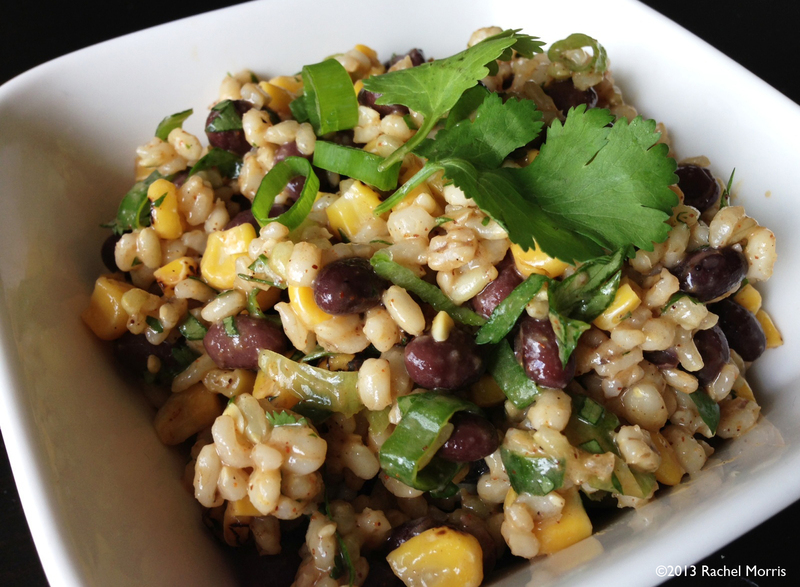 You can switch up the grains (I used a combination or brown rice and barley), add avocado if you like, use it as a side or a main dish, in tacos or burritos, whatever you want. 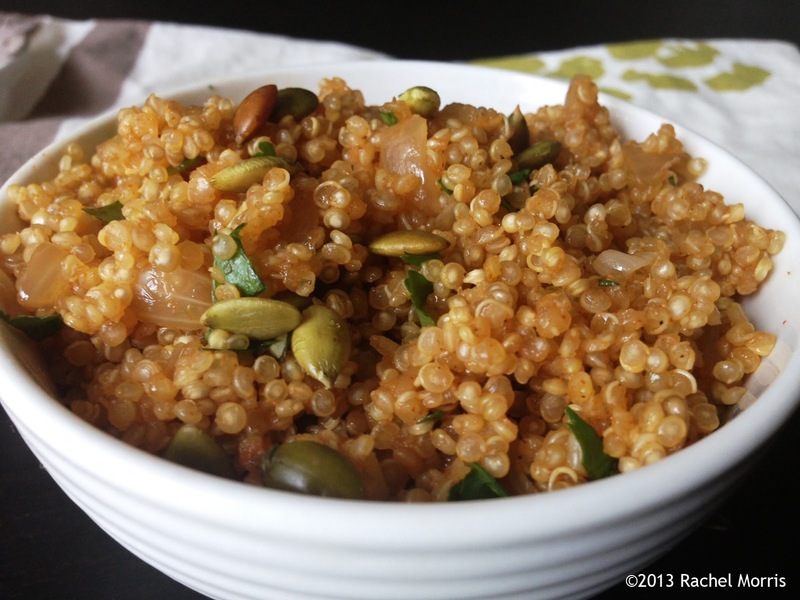 The recipe makes 2-3 side dish servings but it can easily be doubled for a 4-5 person dinner or for a party. Mix spices, oil, broth and vinegar in a large bowl. Add remaining ingredients and stir until everything is combined and mixed with the dressing. This is best if left to chill in the refridgerator 1-2 hours before serving. I showed these brussels sprouts a little extra love by adding in the dried cranberries and pecans. 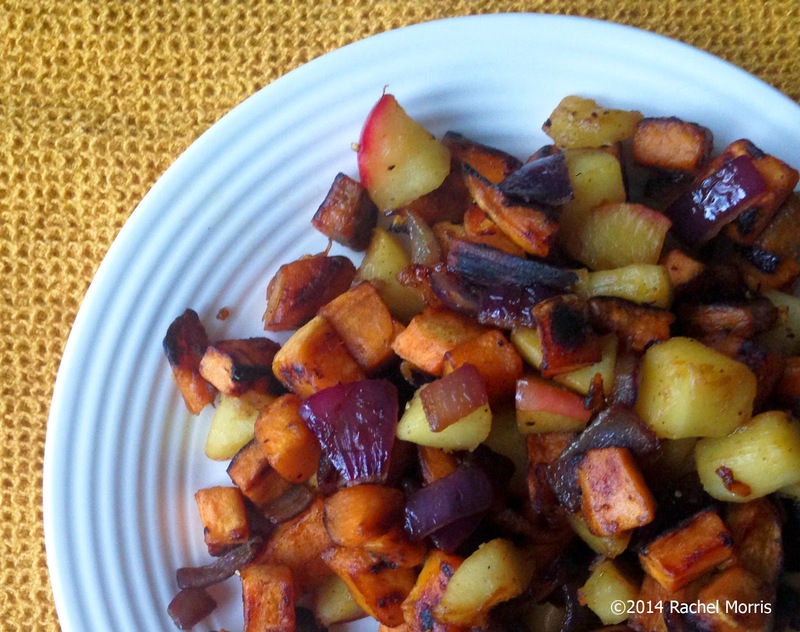 A simple, perfect fall veggie side dish. 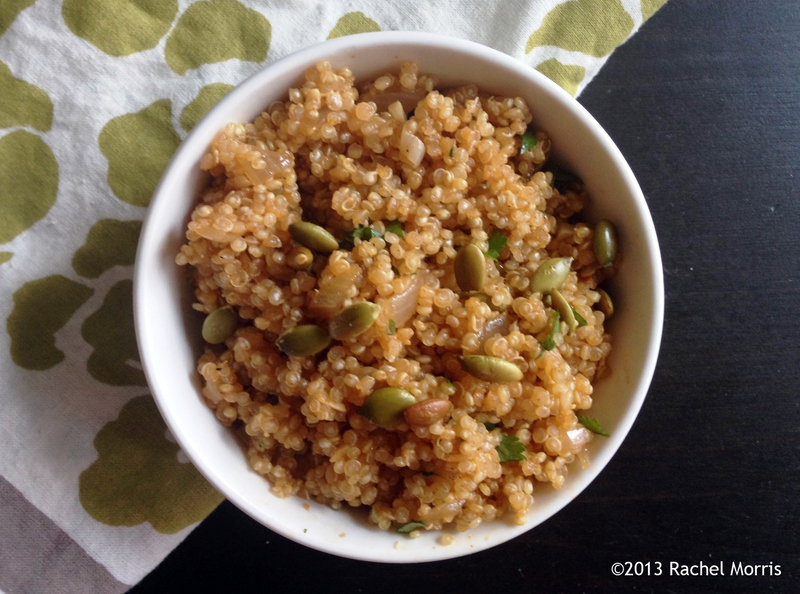 It makes a perfect vegetarian and vegan side dish for Thanksgiving too! 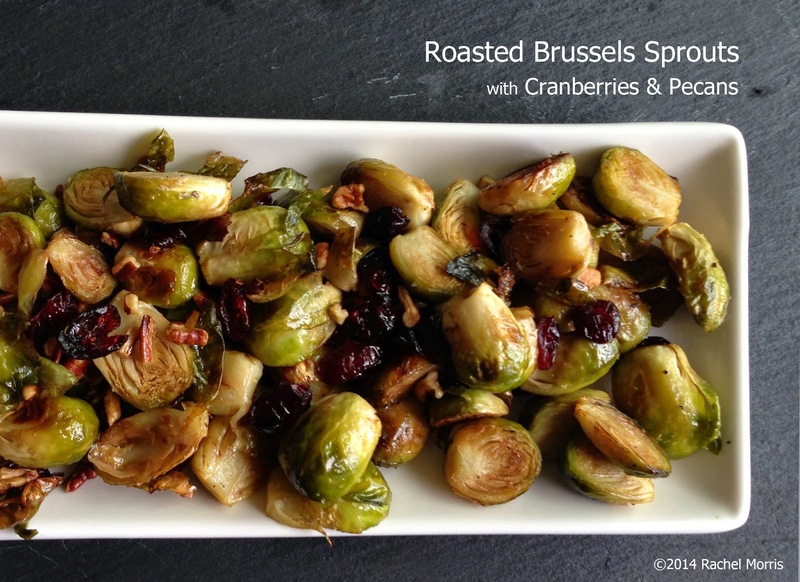 You can even go simpler and just do these basic Roasted Brussels Sprouts without the cranberries and pecans, and they will still be awfully tasty. 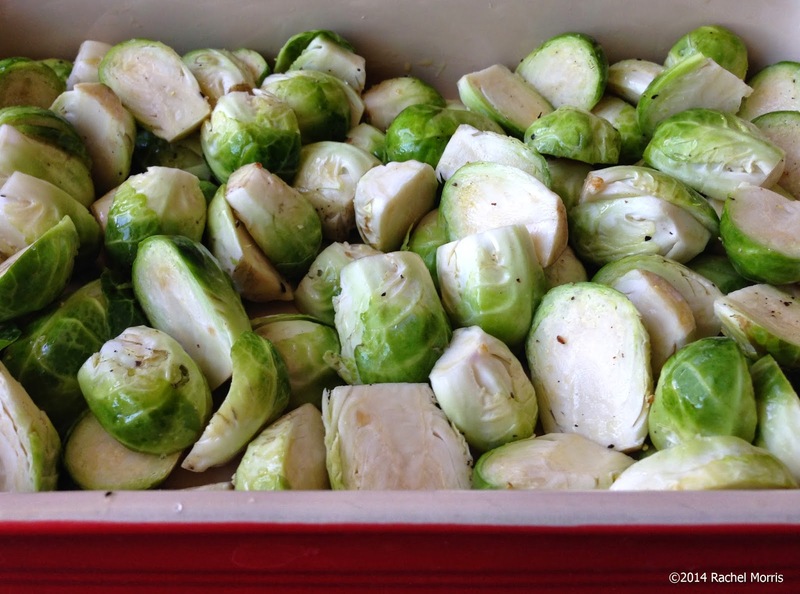 In a bowl toss brussels sprouts with olive oil, salt and pepper. Transfer to a baking dish and bake for 30-35 minutes. 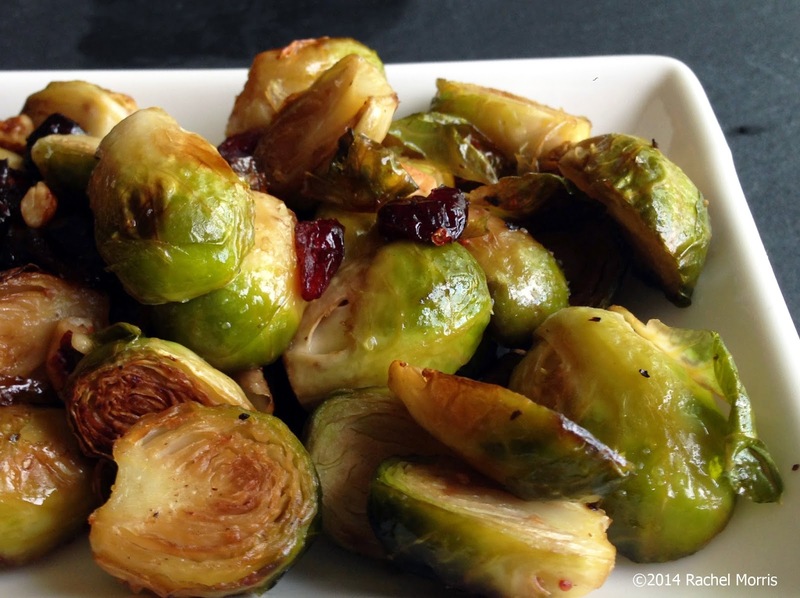 Turn oven off and take brussels sprouts out. Add in cranberries and pecans and toss everything together. Return to oven for 5 minutes or until cranberries are soft, then serve. I first published a recipe for this years ago but it desperately needing updating, both with the method and the photos (see original pic at the bottom – it makes me cringe). So about this dish, simply put it is all about Fall with my favorite 2 produce items of the season! It only has a few ingredients and it’s easy to make so that’s a big win in my book. I like the red onion in this for a little color but any onion will do. 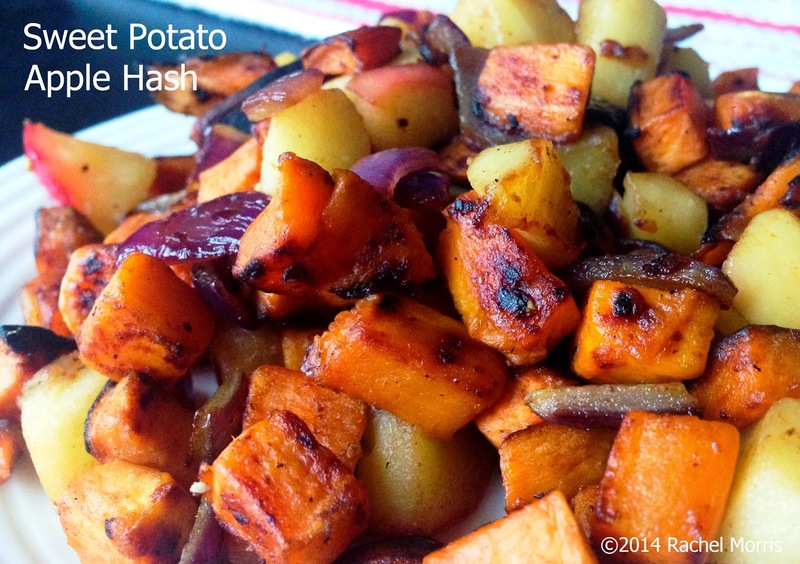 Also, a favorite of sweet potatoes or yams (what is the difference anyway? Read this) is the Garnet Yam! Heat iron skillet (or nonstick skillet) over medium heat with enough olive oil to coat the bottom. Let warm for a few minutes. You don’t want to throw your sweet potatoes into a cold skillet with cold oil – it should sizzle a little bit. Add sweet potatoes and stir around a little to coat in the oil. Let cook untouched for about 5 minutes. Then give them a toss, bottoms should be a little browned, and cook another 5 minutes. Add additional oil in needed to keep them from sticking. 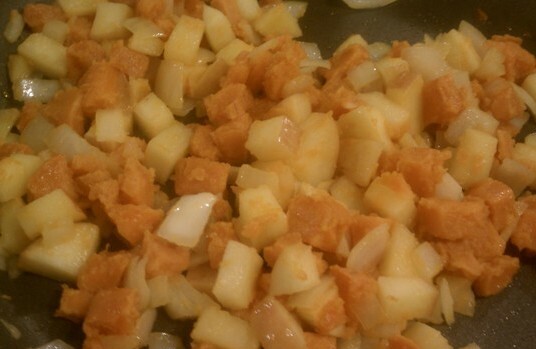 Add onion and apple, cook 4-5 minutes until everything is tender and the sweet potatoes are browned. Stir in butter if using, give a toss to melt it and coat everything. Season with salt and pepper to taste and serve. This was the original picture I posted in 2011 – I mean who would want to make that!?! Thank goodness for today’s amazing iPhone cameras!